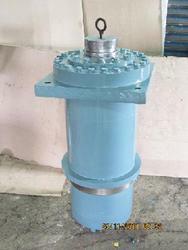 Offered range Hydraulic Cylinder are easily available at affordable price in market. These are engineered from optimum quality grade materials and hard chrome plated to ensure maximum durability, robustness, leak proof performance and abrasion resistance. These find their wide applications for pressure casting applications.